Four years of civil war in Syria have created a displacement crisis of unprecedented magnitude, even by the standards of the Palestinian nakba and the Iraq war. With about four million Syrians forced to leave the country, and somewhere between a third and a half of the county’s population internally displaced, the issue is most often presented in stark statistical terms. In this talk, I sketch the decision points and trajectories of the members of a single extended family from the Damascus suburbs. When, why and how did they make the difficult and personal decisions to leave? Where did they go and why? What happened to them in Egypt, Jordan, Lebanon and Turkey? By considering the refugee experience through the lense of an extended family group with multiple households at various points in the domestic cycle, we begin to see displacement as a series of interwoven narratives, affective states, rational calculations and long term consequences that demonstrate the complexity and contours of the trauma and set research agendas beyond the immediate humanitarian disaster. 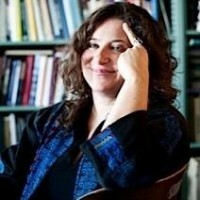 Leila Hudson is Associate Professor and Director of Graduate Studies in the School of Middle Eastern and North African Studies at the University of Arizona. She graduated from the Yale College (BA) and the University of Michigan’s Anthropology Department (MA) and was a PhD-student of a Interdepartmental Doctoral Program in Anthropology and History (PhD). Her research and teaching focuses on culture and political economy in the Arab Mashreq. She is the author of “Transforming Damascus: Space and Modernity in an Islamic City“ (IB Tauris, 2008) and “Middle Eastern Humanities: An Introduction to Middle Eastern Cultures” (Kendall Hunt, 2010). Furthermore she published articles on gender, culture, and power in the Ottoman and contemporary Middle East. She is currently co-editing a volume on “Media Evolution in the Middle East“ and working on a monograph on global and local capital flows in the Arab Middle East.